Something I've VERY picky with when it comes to fashion is handbags. Don't get me wrong, I totally appreciate all the gorgeous colours and unique designs, however ultimately these aren't the bags I like to invest in. If I see one of these more 'out there' bags from a high street store, I don't mind purchasing it. But for the most part I like to invest in classic pieces, that will go with everything and I'm still going to love in years to come. This year I wanted to add another bag to my collection, but I strictly DIDN'T want a black bag. For some reason, I'm always drawn to black, resulting in far too many similar bags. Well, guess what? I've finally found my ultimate boss babe bag! 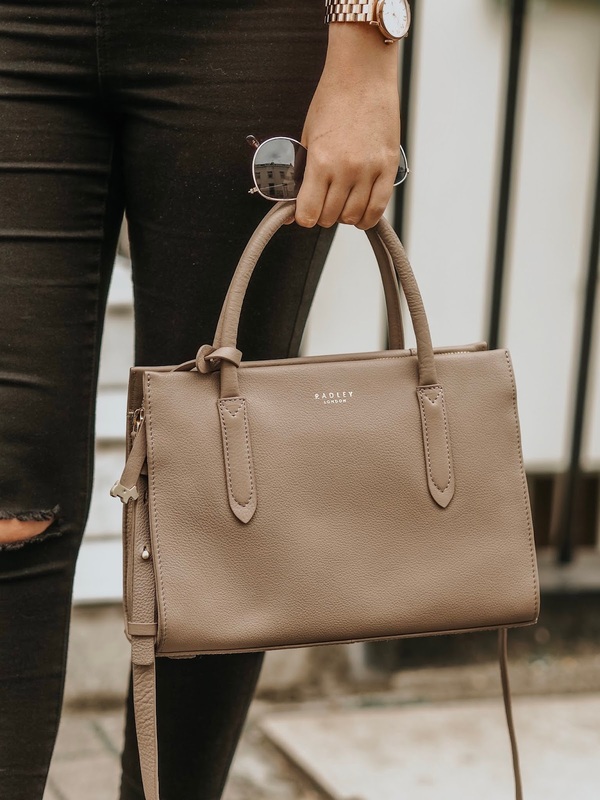 It's from Radley and is called the Arlington Court Bag in the colour Mink, and I couldn't be happier with it! 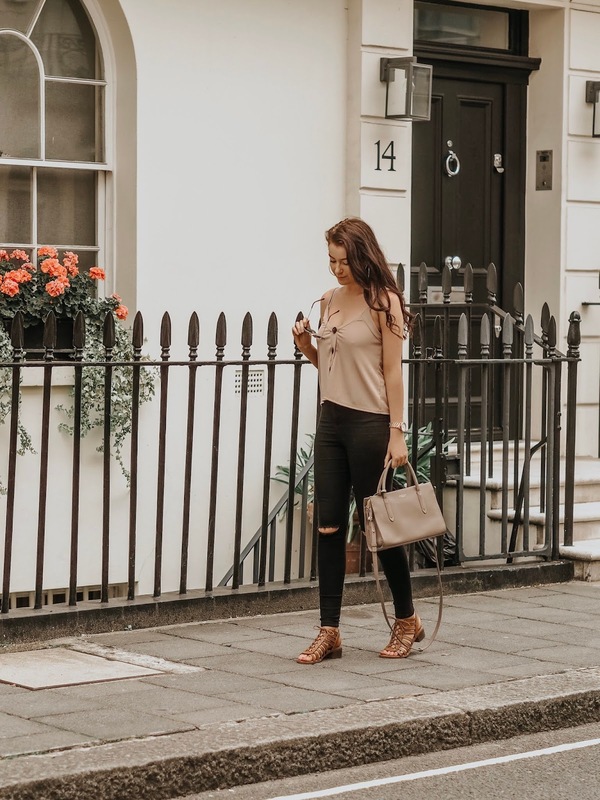 The simplistic design is perfecting for someone like me who usually does't have time to coordinate outfits when I'm on the go, so want a bag that I can just pick up, and head into London with. And it's not black, hooray!! 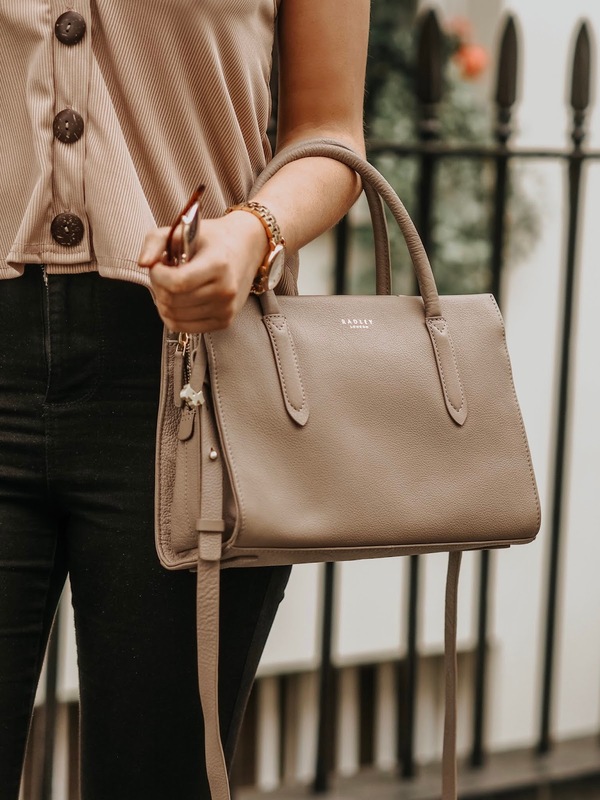 At first I was torn between this more neutral shade, and a bright red shade (which I still kinda want..), but ultimately, I thought the neutral bag would go with pretty much every single outfit. Another thing I really love about this bag is the design. It actually reminds me of the YSL Sac De Jour bags but is a fraction of the price! I can see myself using this bag for years to come as I've barely put it down since I received it! Like I said previously, it's become my perfect on the go bag for work days. It has so many handy little compartments for my valuables, and the two large pouches either side of the bag for things you need to easily grab. I usually keep my diary, a notebook and pen in here so I can plan out and organise work related things whilst on the tube etc. Do you have a go to bag that you carry all the time? *This post contains PR samples. All words an opinions are my own. Your classy handbag looks fantastic! THAT BAG IS BEAUTIFULLLL. I love a radley bag, they are SO nice. I'm in love with this color! I, too, have a lot of black bags in my collection so I've been slowly and slowly trying to add more versatile colors in. This bag would be so perfect as a smaller bag for work. I'm so tempted to buy it! I can see why! That bag is so elegant! You look stunning & I love the bag so much. It really is a boss babe bag! My go to bag at the minute is my Ted Baker bag, I'm just obsessed with it! 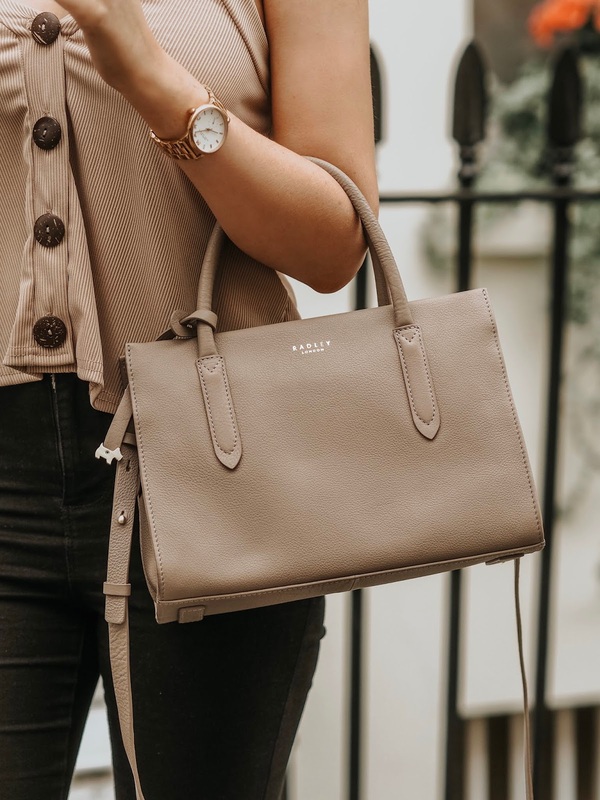 this Radley bag is stunning!! love your whole outfit & the pics! I love the colour and the size of this bag! oh i love this bag its the perfect colour too! This bag is beautiful and I’d totally feel like a business woman if I wore this haha!